Potassium us an essential mineral that is widely distributed among food sources, with especially high levels present in fruits and vegetables. 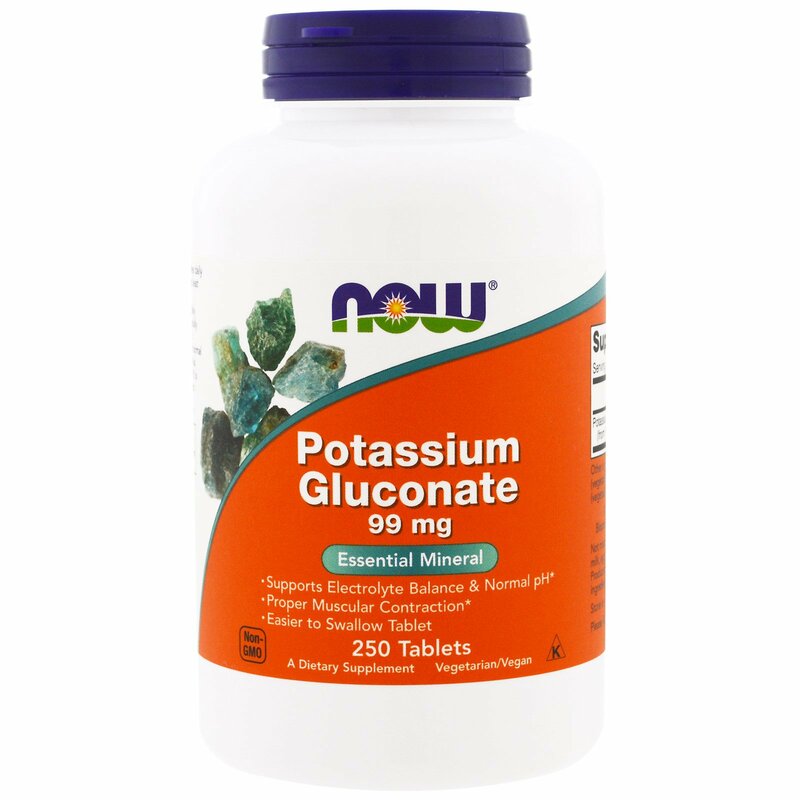 Potassium is critical for the maintenance of normal whole-body and cellular fluid levels, as well as for the maintenance of acid-base balance. It is also necessary for proper muscle contraction, the maintenance of healthy heart function, and for the transmission of nerve impulses. 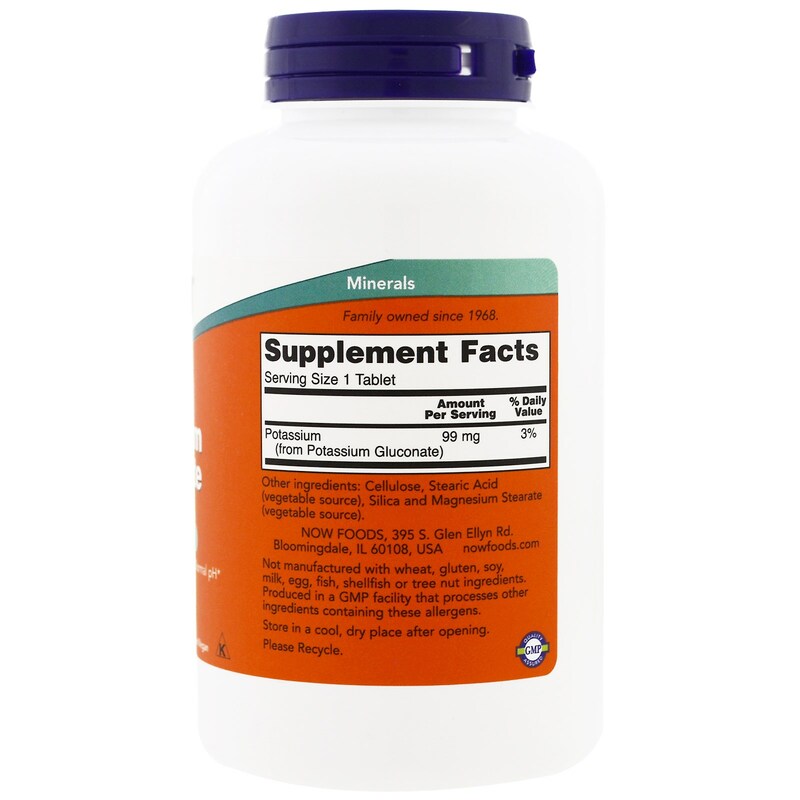 Take 1 tablet 1 to 5 times daily in separate servings. Take with food and at least 8 oz. of water or other beverage. 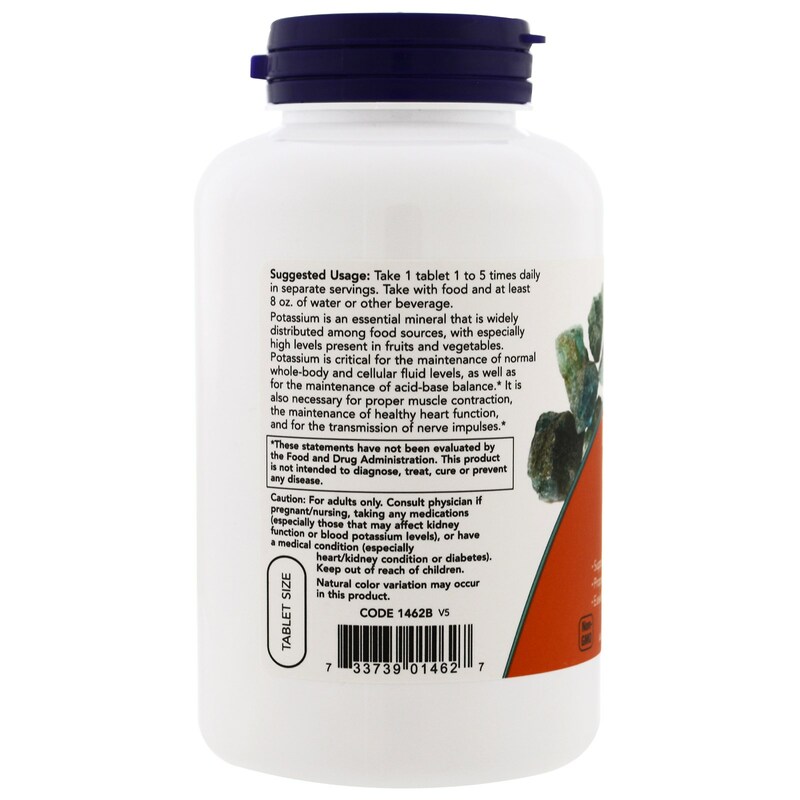 Cellulose, stearic acid (vegetable source), silica and magnesium stearate (vegetable source). For adults only. Consult physician if pregnant/nursing, taking any medications (especially those that may affect kidney function or blood potassium levels), or have a medical condition (especially, heart/kidney condition or diabetes). Keep out of reach of children.